'Elyria', the Albert Heman Ely estate designed by Grosvenor Atterbury c. 1900 in Southampton (the photo incorrectly attributes McKim, Mead & White). Click HERE and HERE for more on 'Elyria' and HERE to see the residence on bing. 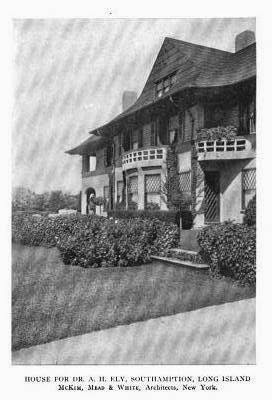 Photo from the Year Book of the Architectural League of New York, 1907.